This month, we’re celebrating some of the people who have overcome hunger. 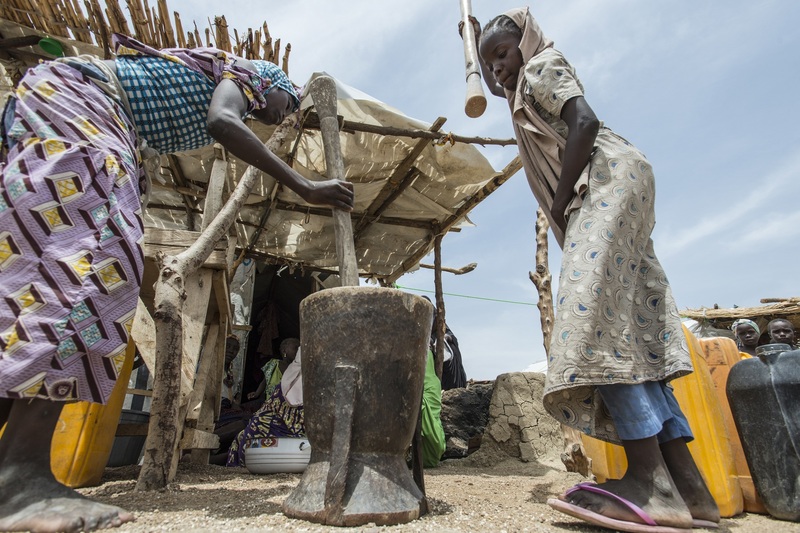 With WFP’s help, they’re getting more of the food they need and building their communities back up. Whether it’s through school meals, milling machines, boats or hermetically-sealed bags, WFP faces any challenge head-on to help vulnerable people around the world. Here are seven of their stories. Three years ago, Sekina Hassen (right) was a first grader at Udassa Repi Elementary school in Ethiopia. At seven years old, she was the oldest of three daughters in her family and dreamed of becoming a teacher or doctor. Sekina’s father worked as a local policeman, but his paychecks couldn’t buy enough food for the family. 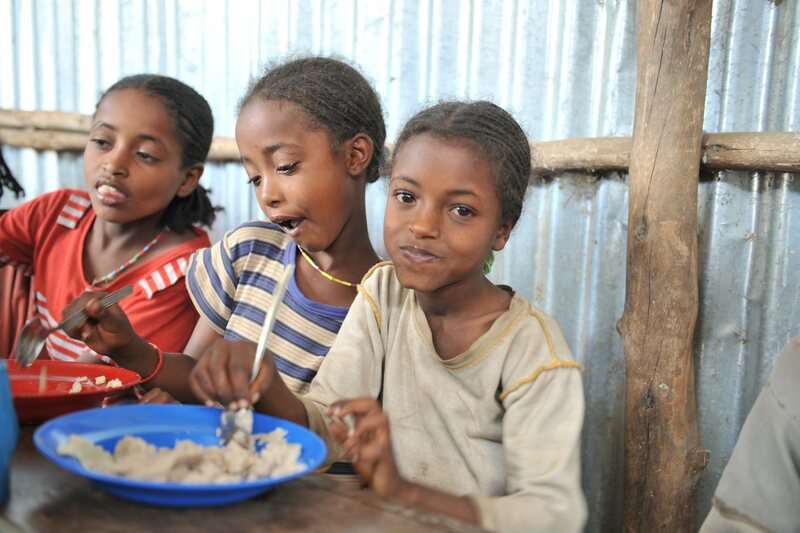 For Sekina and thousands of children like her in Ethiopia, the first meal of the day happens at school. At 10:30am, cooks prepare a hot cereal made of locally-grown corn and beans, and the students line up to fill their plates. Sekina loved it and looked forward to it every day. “It’s very tasty,” she said with a smile. Back home, she would eat bread for lunch and dinner because it was the most her father could afford. 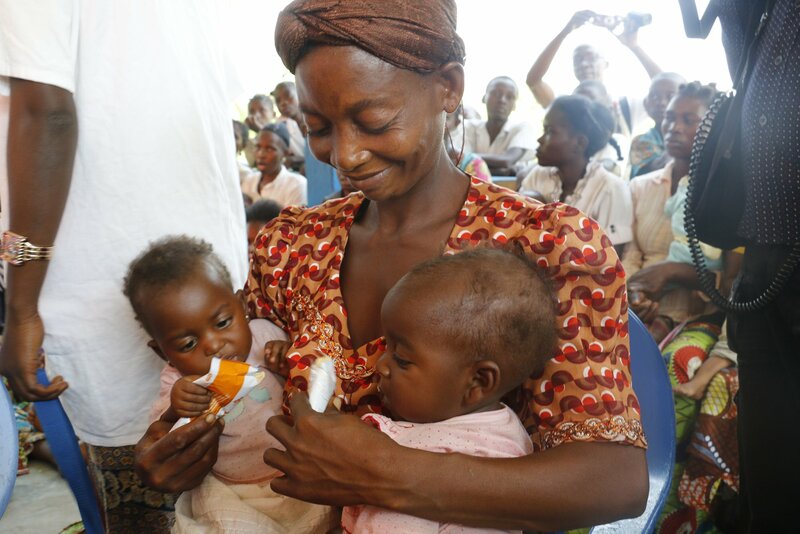 Sekina didn’t know it, but her most nutritious meal was made possible by WFP. Today, three years later, the regional government where her school is located is now self-funding and operating the program for 850,000 students without WFP’s help. It’s an example of the long-term agricultural and economic benefits that WFP works so hard to help communities achieve. Imagine working 10 hours a day in your garden to grow enough food to feed yourself and your family. Then, after months of work, your children go hungry because the crops you grew have rotted in their bins and there’s nothing left to eat. In agriculture this is called “post-harvest loss,” and it accounts for up to 30 percent of all the food produced in Sudan. For millions of Sudanese, it’s a heartbreaking and devastating reality. 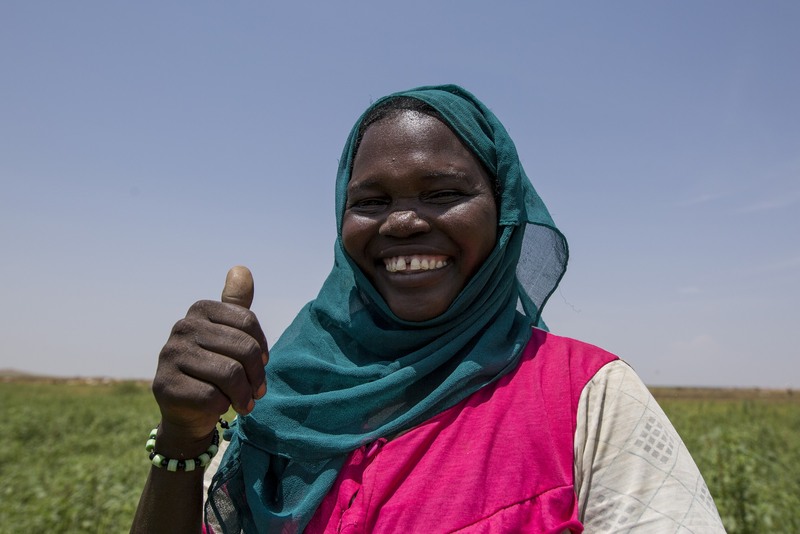 In December 2018, WFP, the Government of Sudan and the private sector came together to launch the Hermetic Storage Campaign to provide 500,000 small-scale farmers with waterproof, air-tight bags that will help them store more of their grain all year round. The bags cost just $2.50, and the campaign hopes to reach four million farmers by 2023. In a country where millions are hungry, we can’t overstate the lifesaving value of increasing the amount of available food by 30 percent. The Democratic Republic of Congo (DRC) is the second largest country in Africa. With a population of 77 million, it’s bigger than California, Texas and Virginia combined. Widespread violence, largescale displacement, poor harvests, pervasive poverty, and two deadly outbreaks of Ebola made humanitarian work dangerous and difficult last year. Yet despite these challenges, WFP stayed on the front lines and scaled up operations to deliver food, cash vouchers and nutrient-dense cereals to children and families in need. Fourteen countries stepped up to fund this lifesaving work – an example of what can be achieved when global leaders come together to fight hunger. “When you’re as hungry as I was, you think of dying,” nineteen-year-old Mamcy Karina recalls. Mamcy and her seven-month old son, Godfrey, are just two of the 325,000 mothers and children who now benefit from WFP’s improved nutrition program in Uganda. “To get food, my father had to sell all his cows,” she says. “But even that wasn’t enough to feed our family.” Mamcy’s father was forced to send her and her siblings to Uganda, and the trip was harrowing. “I was panicking the whole way.” As soon as they arrived at the refugee camp, WFP stepped in, keeping them safe and providing them with food. 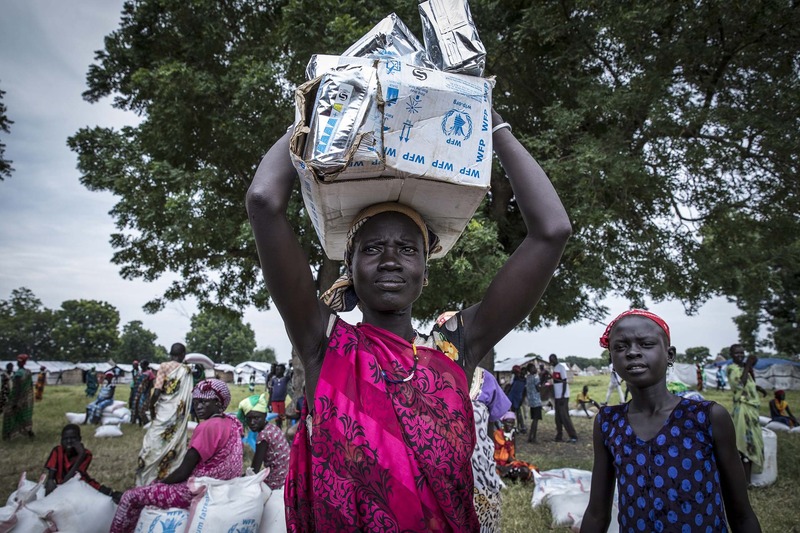 WFP does whatever it takes to reach people who are hungry. Last year, for the first time since civil war broke out in 2013, WFP managed to send boats full of food up the Sobat river, a major tributary of the White Nile. The river convoy, composed of one barge and 11 smaller boats, transported enough food and nutrition supplies – including grain, beans, vegetable oil and a fortified porridge blend for children – to feed 40,000 people for a month. With these boats, WFP plans to deliver food by river to 130,000 people in seven hard-to-reach locations over the next 12 months. Turning whole grains into flour is hard work. Traditionally, a small amount of grain is placed in the well of a hollowed out, deep wooden bowl. Then, a wide, flat-bottom wooden stick is used to beat the grains until they’re fine enough to cook with. With a shipment of new milling machines, families can now produce enough flour to eat and still earn an income by selling the surplus. The new technology is especially helpful for women and girls, who are responsible for the majority of food preparation. People who’ve received mills are also trained in business basics: record keeping, financial management and machine maintenance. There’s now an average of one machine for every six families. In 1969, Paul Tergat was born in Kenya, where he relied on WFP’s school meals program throughout his childhood. He grew up to become a record-breaking runner, holding the world record in marathon running from 2003 to 2007. “I came from a poor family,” Paul recalls. “The school meal gave me the motivation to attend school, complete school and work hard. Through this, I later discovered my running talent…I’m forever grateful.” Paul went on to enlist in the Armed Forces, run a sports marketing and PR company, and launch a foundation to help disadvantaged Kenyan athletes. 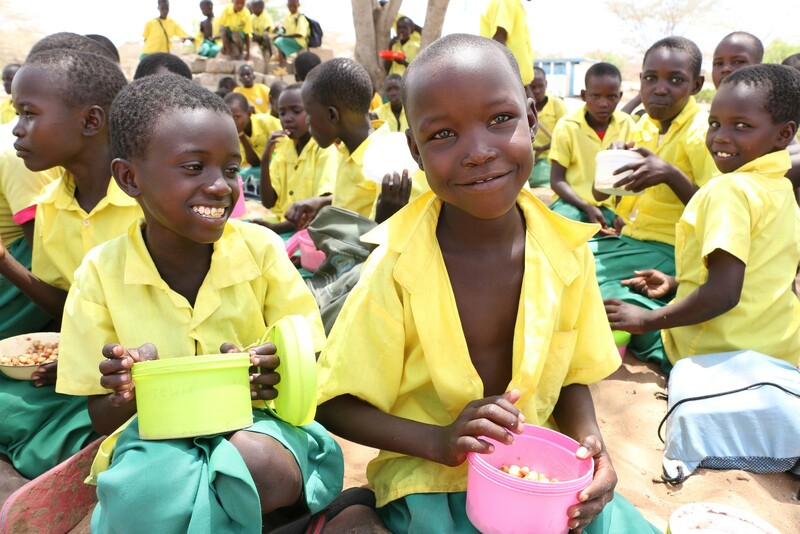 Last October – after more than 30 years of programming – the Government of Kenya formally took over administration of the school meals program from WFP. They are now providing lunches to 1.6 million Kenyan school children like Paul. Sekina. Mamcy. Paul. The distance between people like them and us is no bigger than the click of a button. YOU can change their fate. Will you join our cause to make sure that all men, women and children can survive hunger and reach their full potential?